Vivaldi's Gloria is one of the most stirring works of Christian music ever written. I hope even those who don't listen to much classical music will give this a try. 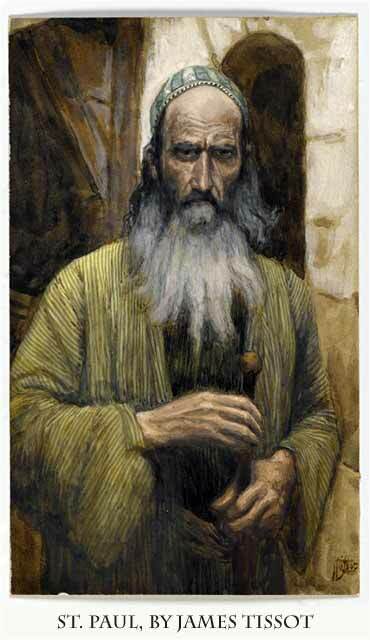 But after long abstinence from food, then Paul stood in the midst of them and said, "Men, you should have listened to me, and not have sailed from Crete and incurred this disaster and loss. And now I urge you to take heart, for there will be no loss of life among you, but only of the ship. Therefore take heart, men, for I believe God that it will be just as it was told me. However, we must run aground on a certain island." 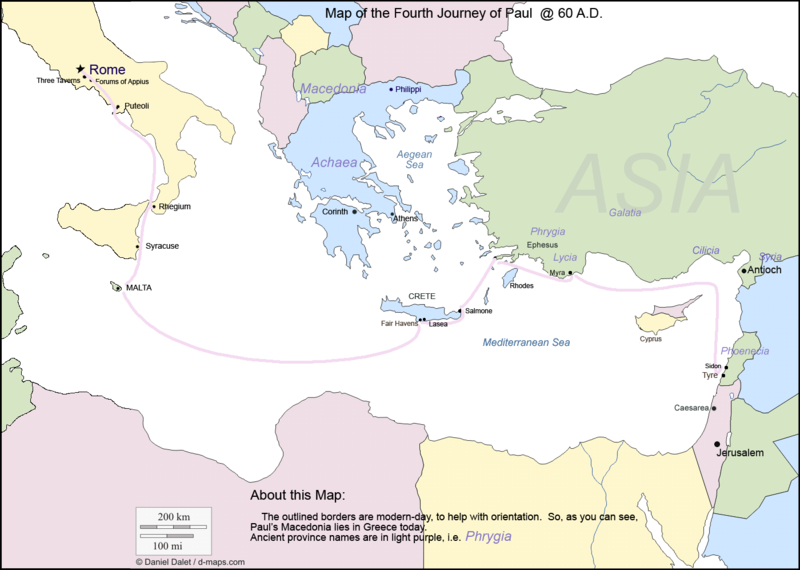 The grain ship from Lycia, on which Paul is being transported to Rome for trial, is in dire trouble. They are lost in a storm south of Crete and have jettisoned the cargo and ship's tackle. They have practically given themselves up for dead. Isn't it just like Paul to stand up and say, "I told you so"? Which he does with alacrity. Admittedly, he has good reason, since he needs to gain their confidence so that they will follow him. If Paul shows a tiny bit of pride from time to time, his best qualities shine forth here. He has the heart of a lion and utter faith, and with it, the ability to lead men into salvation no matter how bad things look. Into their world of despair, he brings a lamp of hope that will not flicker or die. The story of Paul's shipwreck is steeped in metaphor. The unpredictable and dangerous sea is an allegorical world of men, and the ship is as lost as the souls of men who do not know God. Paul brings them the hope of life at their darkest hour; he will lead the crew to the salvation of land with the total confidence he has shown time and time again, in bringing the people of Greece and Anatolia to the salvation of Christ.